This week the weather was finally nice enough that I decided to walk to the end of the long street that my dorm is on and explore the area a little. The trees in Warsaw have begun to bloom and even though the area around my dorm may be lacking in city, it is not lacking in grassy lots and trees. 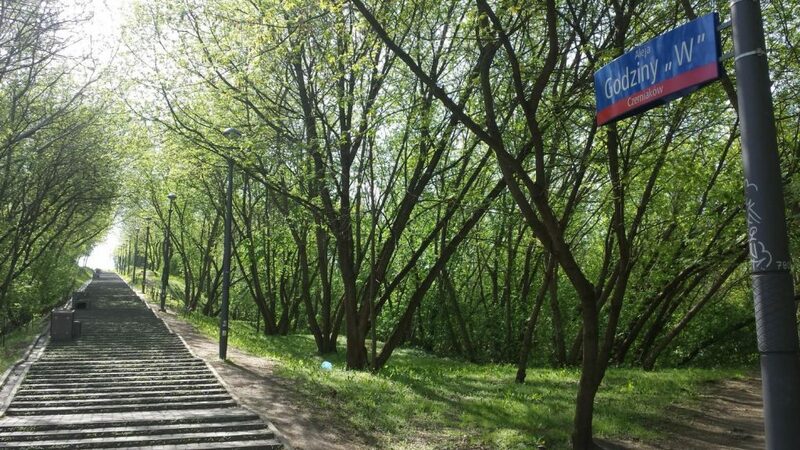 At the end of the street where Bartycka forms a “T” intersection with Czerniakowska Street, there is a small hilly park that (unbeknownst to me at the time) is quite historically significant. 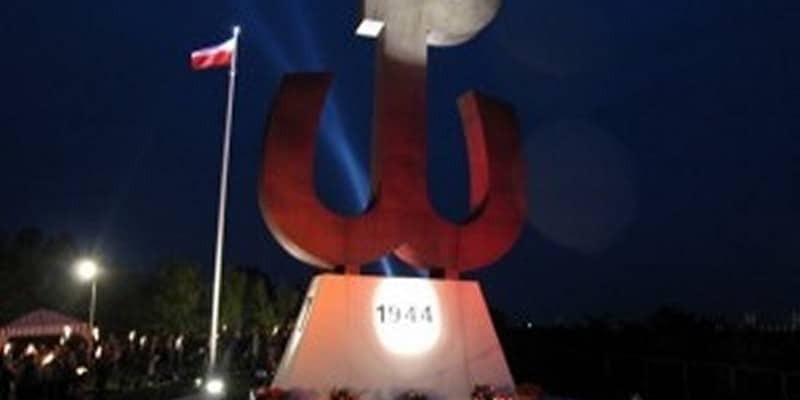 It was only in 1994 that the significance of the place was rediscovered as a result of the tireless lobbying of the worldwide association of former Polish Home Army Soldiers, who (after the fall of Communism) began to fight for a monument to commemorate their work in liberating Warsaw in WWII. 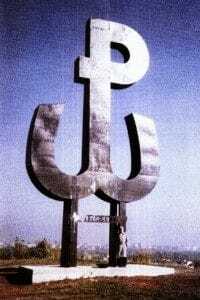 A monument in the shape of the Home Army’s symbol (the “Kotwica” or Anchor) was promised by the city to honor the veterans and heroes. 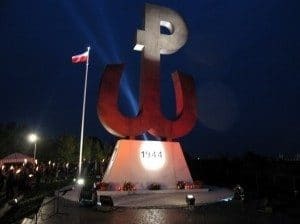 The monument was scheduled to be ceremoniously opened on the 1st of August 1994 on the 50th Anniversary of the Warsaw Uprising. Due to monetary constraints at the time, however, the opening of the monument had to be slightly delayed and monument could only be affordably constructed of a few sheets of steel and concrete. Then after the 50th anniversary celebrations, the hill fell once again into disuse and abandonment. The only way up the monument was a winding dirt path through the forest that spiraled up the hill. 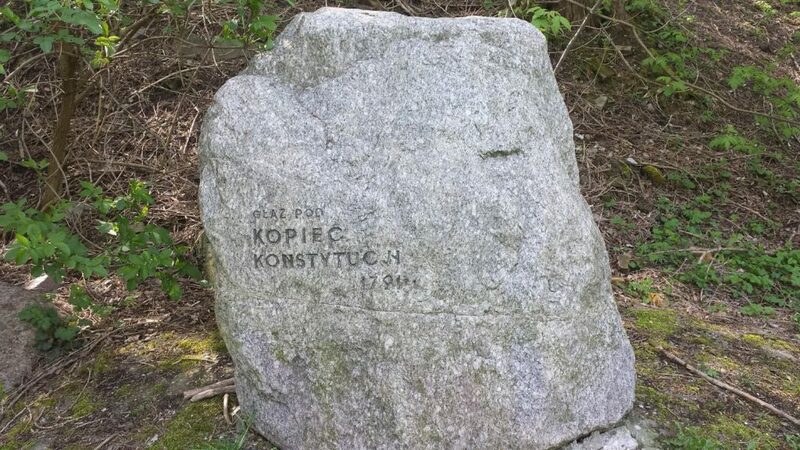 In 2004, in preparation for the 60th Anniversary celebrations of the Warsaw Uprising, the city decided to rename the hill as “Kopiec Powstania Warszawskiego” or the “Mound of the Warsaw Uprising” and renovate the monument (Uchwałą nr XXVII/513/2004 Rady miasta stołecznego Warszawy or Resolution Number XXVII/513/2004 of the Warsaw City Council). 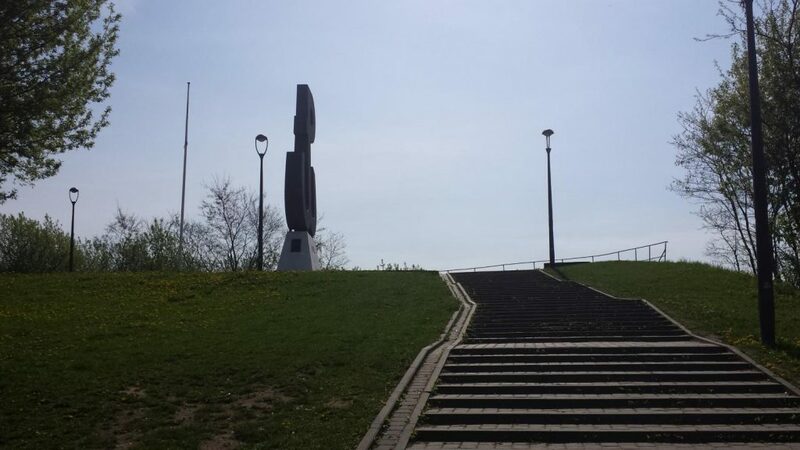 The city built and paved a direct path up the mound to the monument, which is actually the longest staircase in Warsaw today at 250 meters with 400 steps. 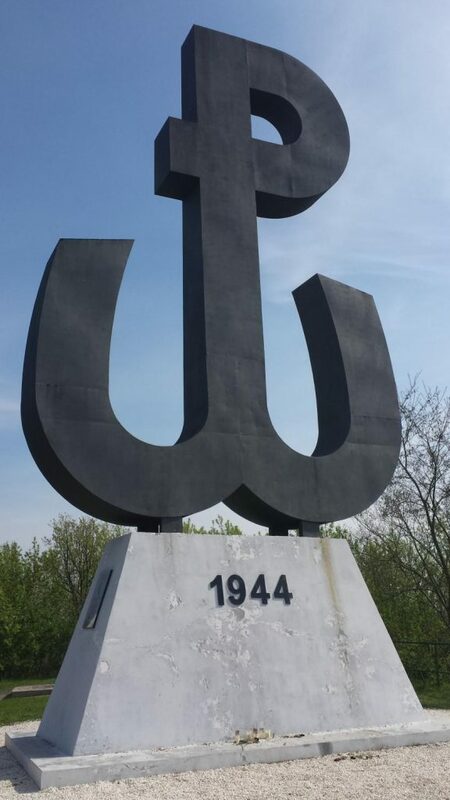 The new route was even given a street name, “Godzina ‘W’” (hour of the “Wybuch” or explosion, the code name referring to 17.00 on 01.09.1944 when the Warsaw Uprising began) and the street was lined with wooden crosses and Polish flags. When I visited the park, I was struck by how easy it was to pass this historic site by (as I had so many times before) without realizing its significance. The park is fenced in and the entrance is a bit hidden behind a couple of construction supply stores and is far from obvious. The new path up the hill (ul. 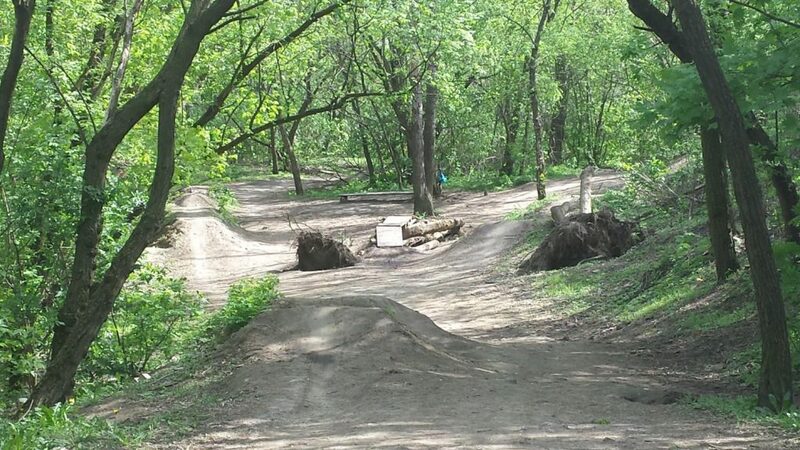 Godziny “W”) is noticeable enough but the older dirt path looks like it could lead anywhere or be one of the downhill biking trails that dot the mound. Indeed, I found it quite odd that this mound and monument to the Warsaw Uprising, however hidden and not well-known, is used by bikers as a downhill slope and that the practice is tolerated and even documented online. In any case, on separate occasions, I have taken both paths and found them both interesting in their own ways. 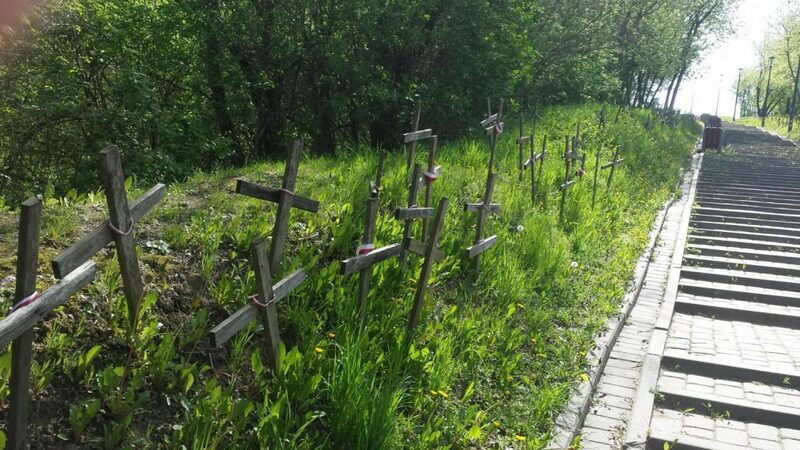 The direct path is lined with crosses, adorned with pieces of cloth in the colors of the Polish flag, and it takes a gentle slope that allows you to see your goal (the monument of the Home Army anchor) as you approach it. 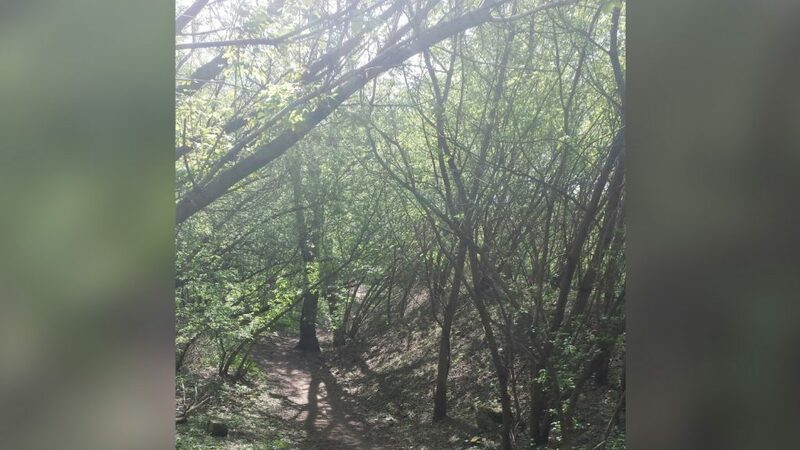 The winding, dirt path on the other hand, feels like you are alone in the midst of a forest and allows you to appreciate the ground (made of the city’s rubble) on which you’re standing. If you’re observant and lucky, you might even be able to find a piece of concrete or old brick protruding a bit from the earth. 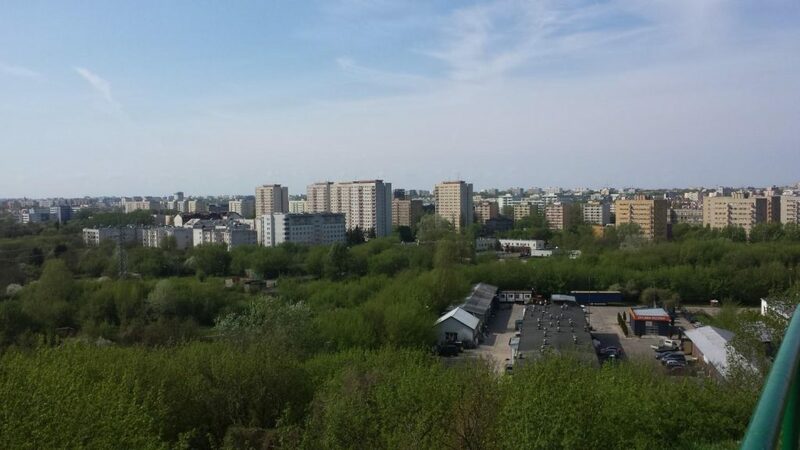 When I finally reached the top, I was treated to a beautiful view of Warsaw and its skyline. 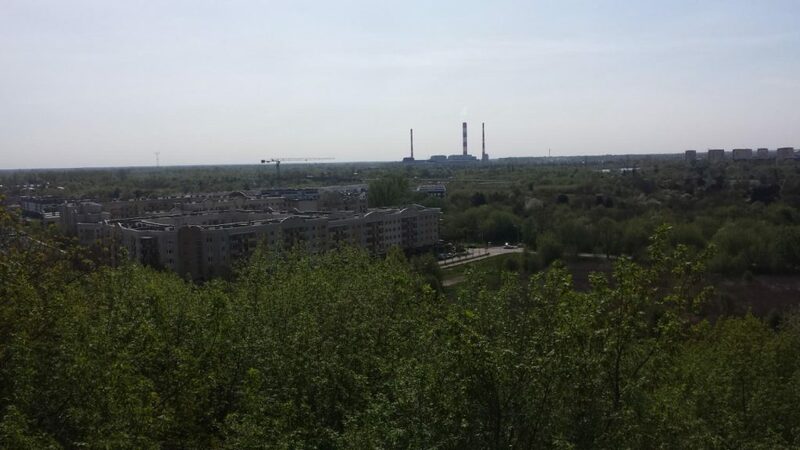 The whole city was visible, although the north side of the city was obscured slightly behind some trees. The monument itself is huge, truly monumental and its base was even taller than me. I could tell that the monument was beginning to age once again, however, with the paint on its base chipping a bit. 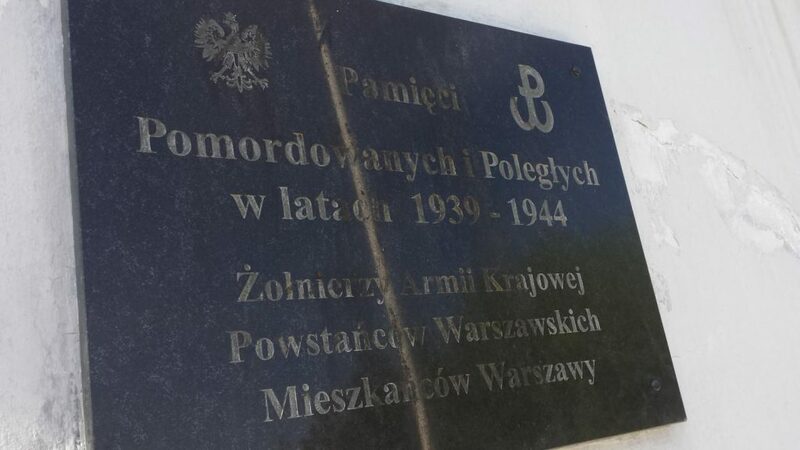 Although it had clearly not been maintained to same extent as other monuments in the city, it was apparent that some people still visited the site as someone had recently (within the past few days) laid flowers at the foot of the monument and they were just beginning to dry up. As I walked back down the steps to go home, I enjoyed the view of the city’s skyline once last time and left with a sense understanding for the site’s unique history. It had been no everyday walk in the park. 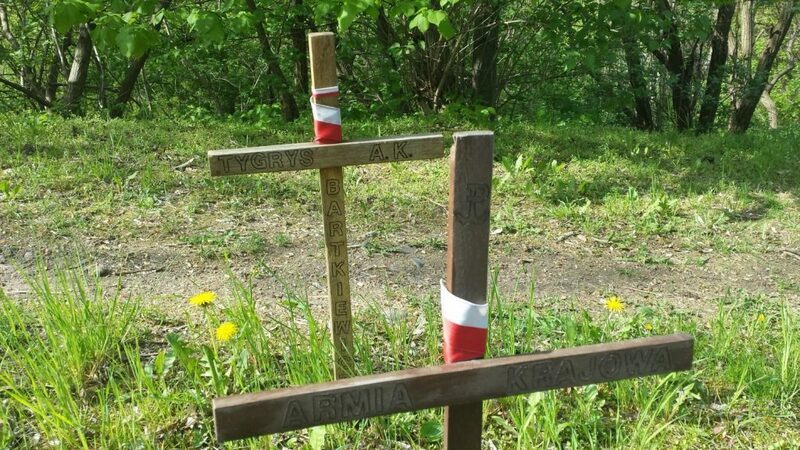 If you’re in the area, Park “Akcji Burza” is worth checking out…but I wouldn’t recommend going out of your way to do so.